It’s not everyday that this work-at-home mom gets to drive a car that turns heads. But when Mazda sent me a 2015 Mazda MX-5 Miata Grand Touring PRHT (Power Retractable Hard Top) to drive for a week, that’s exactly what happened. This car is a head-turner. Sure, a 2-seater convertible sports car is probably not the most practical car for someone like me. You should have seen what happened when I took my son shopping for groceries and one of those big tri-fold poster boards for the science fair. If you’ve ever shopped for a family my size, you’ll know that we typically fill the back of the minivan. Let’s just say we giggled all the way home (with the poster board in the passenger seat with my son). 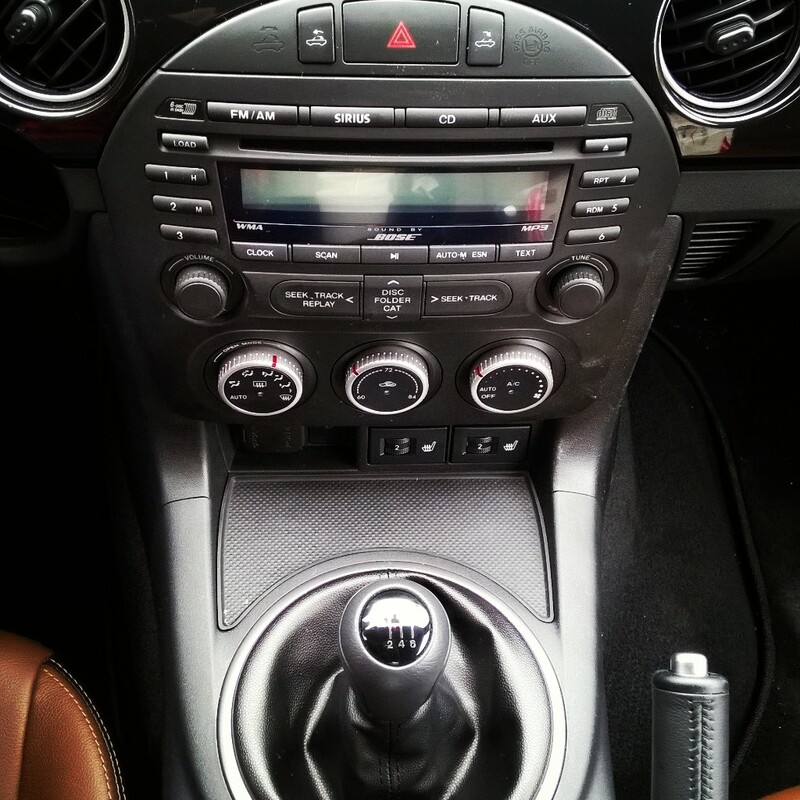 The 2015 Mazda Miata may not be the most practical family car, but I can tell you what it IS. It’s sporty. It’s fun. It’s sleek. It’s an adventure on wheels. 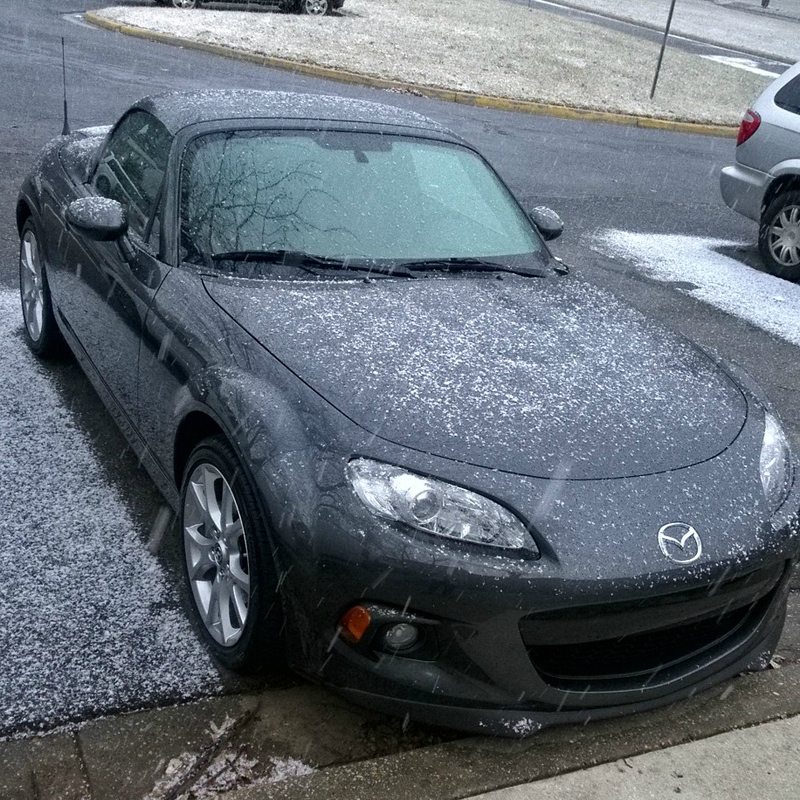 My only regret during my time with the Mazda MX-5 was that the weather was simply too cold to drive with the top down. I wanted to. I really wanted to get the full convertible experience, but temps in the single digits, snow and ice made that impractical. Thank goodness that the heating system in the MX-5 was quick and efficient, and I stayed nice and toasty during all of my rides around town. I love the way it handled. Thanks to its compact size, it slips into parking spaces and takes curves and turns with ease. It’s also fun to drive. 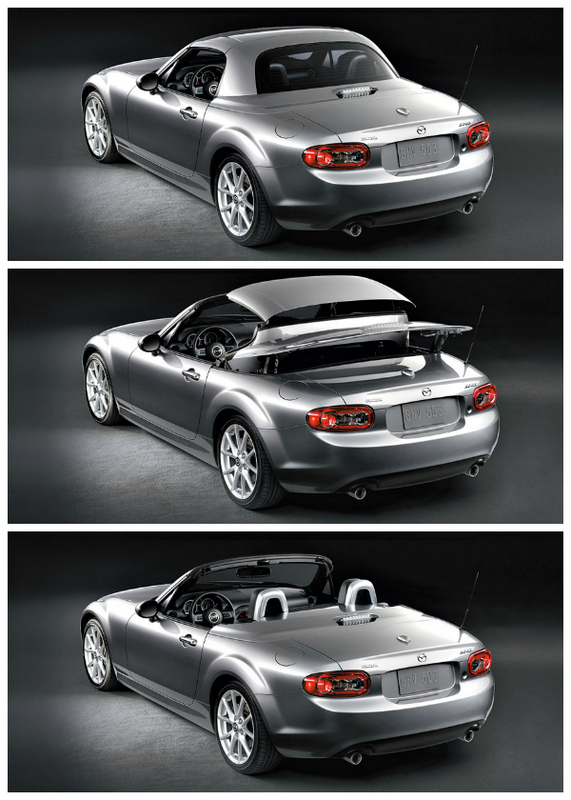 There’s simply something unique about a sports car, and the Miata has been turning heads for the past 25 years. Can you believe that the Miata is celebrating 25 years? A special note: I drove the MX-5 with manual transmission, which I think made all the difference in the driving experience. It’s been a while since I’ve had a car with manual transmission, and I forgot how much I enjoy that feeling of control. The kids had lots of questions about shifting gears, and though none of them were old enough to get behind the wheel of THIS car, I think it sparked their interest in learning how to operate a manual transmission. Have you driven a Miata? What were your favorite features?